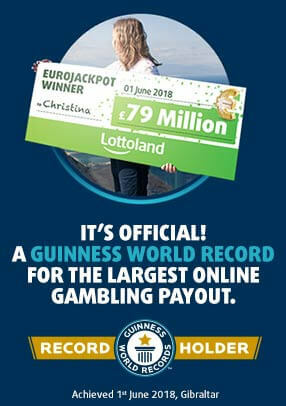 In order to qualify for a reward, you must be logged into your Lottoland player account and click on ‘Deposit' during the qualifying period(s). You must then deposit a minimum of £10 to ensure the Spins are applied to your account. The spins will be credited to your account within a minute of making the deposit. Spins may be only be used on Starburst.